A while back, I was making a Sephora order and needed something small to get me up to free shipping. 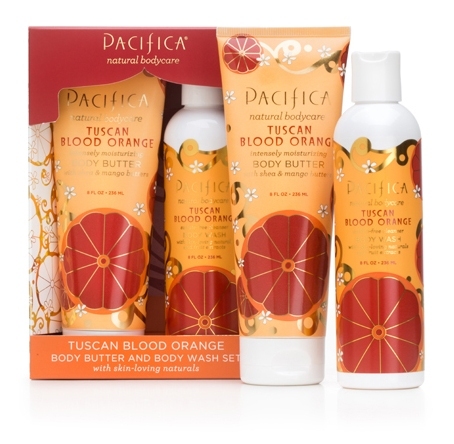 At the time, Pacifica was getting discontinued, so I was able to pick up a travel bottle of their blood orange body wash for like $3. The first time I opened it up in the shower I basically wanted to eat the soap. It smells so amazingly orangey. Pacifica currently has a gift set featuring full-size tubes of my two favorite products for $20. It’s really nice stuff. I highly recommend it if you are a fan of citrus. In a move that I imagine horrifies my mother, I have started dabbling in the world of fragrances. (Don’t worry Mom. I don’t wear them around you—I’m not that big a jerk as to aggravate your asthma). One of my friends recommended I sign up for Fragonard‘s mailing list, as they send out samples every so often. A large envelope arrived while I was on vacation (that’s another post, assuming I get around to it), containing three samples. I tried them out this week, and here are my conclusions. Héliotrope Gingembre: this immediately pulled vanilla on me. I couldn’t really smell anything else. Sad, because I thought a ginger fragrance would be neat. Jasmin Perle de Thé: this was nice! However, I already have green tea scents from L’Occitane and Elizabeth Arden, so I don’t think I need to invest in another. They can all be found in the Fragonard’s Garden page of eaux de perfum. I like the bottles. They’re pretty.